Raised Garden Beds can aid any gardener in growing the perfect crops, they allow you to control the type of soil and drainage which can help you to obtain the perfect fruit and vegetables each and every year. At Garden Paradise we think all ages and abilities should be able to enjoy gardening in comfort. 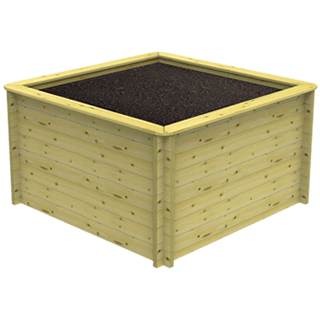 We have a huge range of different Raised Bed sizes and heights available, should you have joint or back pain and unable to bend to low levels then you can find a Raised Garden bed which will be the perfect height for you to avoid any extra stresses and strains.